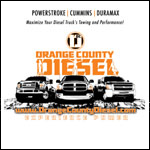 The purpose of this kit is to indicate to the driver with the BD Power 1081133 Low Fuel Pressure Amber LED Alarm Kit 1998.5-2007 Dodge 5.9L Cummins, if the supply fuel pressure of the VP44 injection pump is dropping below 5PSI. A failing lift pump will not only cause sub-standard performance, it can cause costly damage to the injection pump. Keep tabs on your truck's fuel system with the BD low fuel pressure LED Light Emitting Diode kit, which incorporates a red or amber LED that illuminates if lift pump pressure falls below specifications. Inexpensive protection and easy installation! 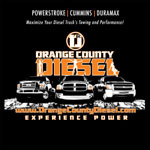 OC DIESEL offers Professional BD Power BD-1081133 Installation.